José Antonio Llorente is a specialist in Corporate and Financial Communication. 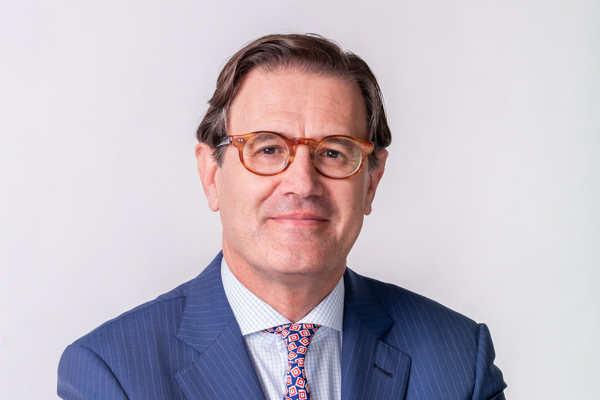 Over the course of a career spanning more than 30 years, he has provided consultancy services on numerous corporate transactions: mergers, acquisitions, divestments, joint ventures and stock market floatations. He is the author of El octavo sentido (The Eighth Sense), an essay about the relevance of communication in 21st century society. Mr. Llorente is one of the 15 People from the marketing and communications worlds to Watch in 2015, according to The Holmes Report’s editors. In 2014, he received the award to Outstanding Partner of the Year from the National Federation of Consultancy, Services and Office Associations (Spanish acronym: FENAC) in recognition of his professional and business career as leader of LLYC. Furthermore, he was the first Spanish professional to have received the SABRE Award for Outstanding Individual Achievement, a European award presented by The Holmes Report. Mr. Llorente worked at the multinational Burson-Marsteller for ten years, where he was Managing Director. He previously worked for five years in the Communications Department of the Confederation of Employers and Industries of Spain (CEOE) and was also a journalist for the News Agency EFE. At present he is a member of the Arthur W. Page Society –the world’s leading professional association for senior public relations and corporate communications executives and educators- on the Board of Advisors of Human Age Institute – the largest Talent initiative put into place in Spain -, on the Board of Trustees of the Euroamérica Foundation and on the Steering Committee of the Spanish Association of Minority Shareholders of Listed Companies. He is also on the Advisory Board to SMEs of the Spanish Confederation of Small- and Medium-Sized Enterprises and on the Steering Committee of the Agencies of Spain Association.